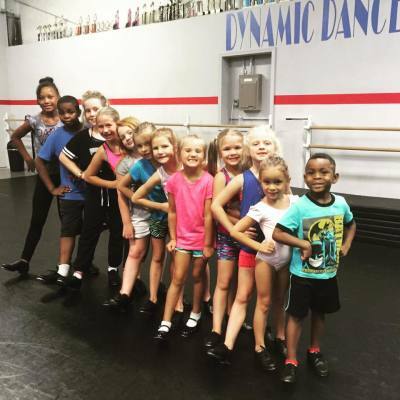 Combination Jr. Dance classes focus on Tap and Jazz. Magic Kingdom Ballet class is a very fun unique program designed to help young students remember French ballet terms, learn left from right & enjoy ballet through association with animal characters in a special magical kingdom. These classes typically have an age range of 4 to 6 years of age. Twinkle Toes is a class for dancers that are typically 2 and 3 years of age. **Parents must stay during this class to watch or participate with their child. Academy Classes are September through the recitals in June. July offers a different, flexible & unique dance session. With the second and third class 25 percent off! The fourth or more classes 50 percent off! Discounts will be applied to the lowest cost classes. 1 Class = 1 hour of class time except for the Twinkle Toes class; it is 30 minutes in length & Magic Kingdom Ballet; it is 45 minutes in length. Dancers will need the appropriate shoes for class. Every class that your dancer is in will require a costume for recital except for technique classes. The academy dancers will perform their routines at one of the recitals scheduled for June 25th. There is a recital fee of $80 per family and includes four unreserved seats and a DVD of the show! All academy dancers may participate in the Father (or older brother, grandpa, family friend)/Daughter Dance for recital. It is $30 for each couple. Themes and practice times will be announced in the spring. You create your own costumes. Photos for all academy classes will be taken in 2017 by Jenni B Photography. This is an optional purchase, however we would like all dancers in the photos. Academy dancers are invited to attend dance camp in August. It is $75 and focuses on technique, jazz and hip hop. All dancers that participate in camp are invited to perform at Fall Fun Fest! Hip Hop workshops are an option in October. Modern, Lyrical & Contemporary workshops are offered in the spring. Other guest teachers will be announced as they are scheduled.